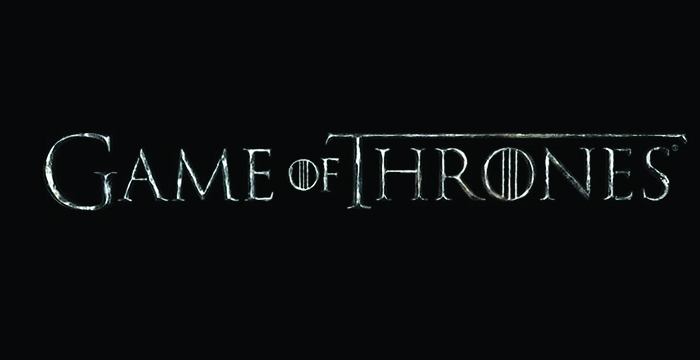 As fantasy fans eagerly await the return of Games of Thrones for its eighth and final season on Sunday, Durham Law School has teamed up with the Abertay University in Dundee to host a “one-day conference” exploring how the hit show portrays law, power and justice. The award-winning HBO series has attracted the attention of academics from across the country who are keen to explore its depiction of “contemporary issues relating to power, gender, war, capitalism, torture and language”, according to a post on Durham Law School’s events page (pictured below). 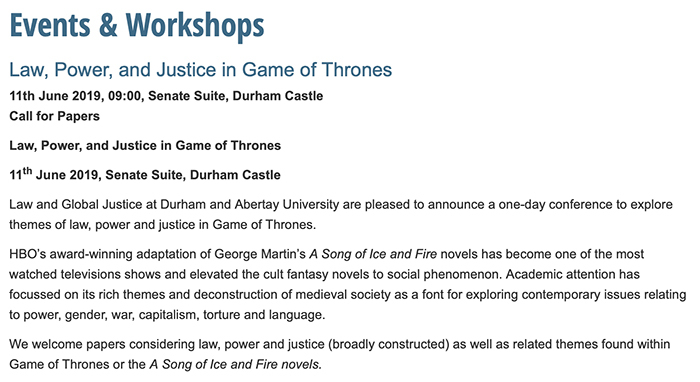 Suggested discussion points for the conference, which takes place on 11 June at (rather fittingly) Durham Castle, include: “Power, corruption, and rule of law in Game of Thrones“, “Justice and retribution in Game of Thrones” and “The role of war, war crimes, and weapons of mass destruction in Game of Thrones“. “Papers, presentations or outlines of proposed research from established academics and postgraduate students are welcome”, the post adds. This, however, isn’t the first time the popular fantasy series has infiltrated the legal world. What is an Abertay and where can I buy one? The top, top titan of Braavos. Game of Throbbers more like, starring you. Ah, my alma mater. Never change.